When this pain lasts for more than six months, it is defined as chronic pain. Research has shown that chronic pain can affect an individual’s quality of life more than any other health-related problem. Epidemiological studies have revealed that chronic pain from a variety of physiological conditions is clearly an issue in society. For example, according to the Centers for Disease Control and Prevention, approximately 70% to 85% of all people will suffer from back pain at some time in their life. The Institute of Medicine has reported that this chronic pain affects approximately 116 million people in the U.S. It is obvious that pain is a universal human experience; however, the mechanism of pain is highly subjective and unique to each individual. Because everyone experiences pain differently, it cannot be objectively measured in the same way for every person. In some instances, it can completely alter the ability to perform activities of daily living, while in other cases it may not pose such a problem. Clinicians must ascertain the level of pain for each patient and employ an effective pain management program to address the symptoms. The American Pain Society declares that relief of pain is a basic human right for every person. If untreated, pain can have devastating physiological and psychological effects. Pain can compromise sleep, appetite, and lead to complete immobility in severe cases. Studies have shown that constant pain also has a debilitating effect on both concentration and memory. Psychological effects include depression, despair, distress, anxiety, fear, hopelessness, and in severe cases, suicidal ideation. Pain practitioners must treat the physical symptoms of pain as well as the aforementioned psychological issues. An interdisciplinary team is often needed. This team may include pain management physicians, clinical psychologists, occupational therapists, physical therapists, massage therapists, and nurse practitioners. Once the type and source of pain is identified, the pain management team often relies on both interventional and pharmacological procedures to treat pain. The pathophysiology of pain can arise from neuropathic (non-nociceptor), nociceptor, or psychogenic causes. An understanding of pain signaling pathways is critical in a successful pain management program. Perception of pain and the processing of pain signals is a complex process that involves the peripheral nerves. Non-nociceptor pain is caused by trauma or injury to structures located within the nervous system. Nociceptor pain is caused when damage to the tissues sends an electrical impulse across a pain receptor that culminates in the sensation of pain. The pain receptor is also known as the nociceptor. This type of pain is classified as somatic or visceral pain. Somatic pain is further divided into cutaneous or deep somatic pain. Cutaneous pain originates in the skin or subcutaneous tissue and somatic pain originates in the tendons, bones, nerves, and blood vessels. Visceral pain originates from stimulation of nociceptors in the thorax or abdominal cavity. In instances of psychogenic pain, there is little or no evidence of an identifiable injury to any structures or tissues of the body. All pain involves stimuli sent to the cerebral cortex of the brain. Once the pain signal is sent through the synapse, the somatosensory cortex identifies the intensity and specific location of the pain. Sensations of pain occur when traumatic stimuli are sent through electrical signals to the dorsal horn of the spinal cord. This is the area where the primary neurons (nerve cells) form synapses (network of nerves) with secondary neurons that lead to the central nervous system. There are two types of fibers that play a role in painful stimuli. Fast fibers, known as A-fibers carry signals rapidly that relay sharp pain. Slower fibers, known as C-fibers relay poorly localized, persistent, and burning pain. An example of A-fiber transmission would be a pin prick of a needle or a laceration from a sharp object to a finger. The affected individual would initially feel sharp localized pain as a result of A-fibers. After a few seconds, the pain would become more widespread as a result of C-fiber transmission. Once the sensation of pain is felt, the body then releases neuromodulators, such as endorphins, norepinephrine, gamma aminobutyric acid, and serotonin to help produce pain relief. Understanding how pain affects sensory processing can help clinicians formulate effective pain management therapies. In addition to the chemical composition of pain, there are a variety of other factors that influence the perception of pain, such as pain tolerance and age, along with cultural and psychological considerations. Pain tolerance is defined as “the duration or intensity of pain that a person is willing to endure” according to the Joint Commission, which is an independent organization that evaluates and certifies healthcare professionals in the United States. Every person’s level of pain tolerance is different. Factors, such as fatigue, anxiety, and emotional state play a role in pain tolerance. Age also affects how people feel and respond to pain. For example, children experiencing pain may not understand the source of pain, which can increase anxiety and associated levels of pain. Conversely, an adult who experiences pain may know that the feeling is temporary and, in this capacity, will be better equipped to deal with the pain. Cultural norms can also play a role on the perception of pain. In some cultures, the expression of pain is considered a weakness. Other cultures may believe that pain is a necessary punishment sent from a divinity. Others may see pain as a challenge to overcome. Psychological factors that influence pain include fear, anxiety, and coping skills. Studies have shown that both fear and anxiety increase the perception of pain. Coping skills are also a crucial part of pain perception. Some people may see themselves as completely independent and self-sufficient. As a result, they may deny treatment and be slow to admit that they are in pain, which may exasperate their condition. Others may have coping skills which assist them on the identification of certain painful sensations; these same people may be armed with the knowledge of treatments that can help them manage their pain. The Joint Commission’s pain management standards are widely accepted across the United States. These standards recognize the rights of patients to receive appropriate assessments during the entire duration of care. They also focus on educating patients and their families about the basic principals of pain management. Pain management standards also require specific questions to be asked regarding levels of pain. This typically involves the use of pain rating scales, such as the Global Pain Scale (GPS), the visual analog scale (VAS), the numerical rating scale (NRS), and the Wong-Baker FACES scale. Inspection: During this stage of the exam, the physician visually inspects different parts of the body paying close attention for any obvious signs of pain, such as unusual posture or a pronounced limp. 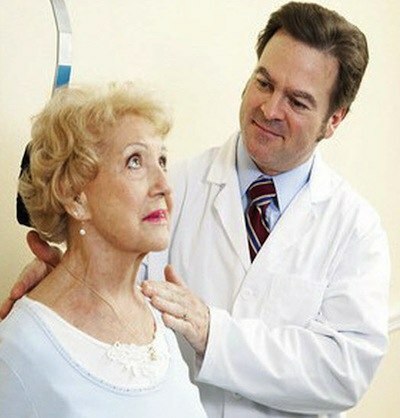 Palpatation: This involves using the hands to examine the patient. The physician feels for internal masses, pulsations, vibrations, and skin temperature. Auscultation: During this stage, the physician uses a stethoscope to listen to the patient’s heart, lungs, and blood vessels. Percussion: This involves tapping on the patient’s skin by placing a hand on the body and then using a finger to tap on that hand. This produces an audible vibration that helps reveal the size and density of the underlying structures or organs. During the physical examination, other specific tests may be used depending on the patient’s pain or injury. For example, range of motion (ROM) testing may be performed to see how far the patient can move an affected area before inducing pain. When diagnosis is uncertain, radiologic imaging may be warranted. Diagnostic imaging can be a helpful aid concerning the source of pain; however, it should not be used as a substitute for the clinical examination. There are several types of imaging tests available for pain specialists, such as x-rays, CT scans, PET scans, and MRIs. Laboratory studies and mental health examinations (MSEs) may also be performed to help identify conditions that may be contributing toward the patient’s pain. The healthcare team can institute pain management programs in a variety of settings, which may include hospitals, private practice offices, medical centers, and in the patient’s home. Common features of most programs include medication management, physical therapy, psychological treatment, vocational counseling, and patient education aimed at improving daily functioning. Each member of the professional team is tasked with a different function to help alleviate pain and promote healing. Physicians are responsible for conducting the patient’s physical examination and determining the potential need for additional diagnostic tests. Other responsibilities include implementing medication management programs and nonpharmaceutical interventions. Physicians also provide patient education regarding treatment options. Physical and occupational therapists provide patients with pain management rehabilitation programs, which may include routines to improve strength, flexibility and muscular endurance. Physical therapists also assist patients in developing correct body mechanics. Occupational therapists act as teachers and coaches to help patients return to work. Occupational therapy programs often include ergonomic issues to help patients understand how controlling their immediate environment may play a role in reducing pain. Mental health professionals teach patients coping skills to help deal with pain. Cognitive and behavioral treatments can also help patients to focus on positive thoughts and ideas, which may help to take their minds off the pain. Nurses also play a crucial role as effective members of the pain management team. Nurses can help assist patients with the practice of newly learned skills; they can also assess medication response and help educate patients regarding topics such as diet, sleep, medication management, and hygiene. A substantial body of literature supports the fact that this multidisciplinary approach to pain management results in favorable outcomes for reducing both acute and chronic pain. Research has shown that this approach to pain management is clinically-effective as well as cost-effective, due to the reduction in disability and insurance claims. This research also shows that the earlier an effective multi-team management program can be instituted, the more likely the chances are of success. The comprehensive pain management program is designed to meet the needs of each individual patient. Treatment strategies depend on the specific injury or type of pain present. In order to meet the goals of pain reduction, pain management specialists have an arsenal of pharmacological and non-pharmacological techniques at their disposal. The goal of both approaches is to help patients return to the highest level of function possible, while improving their overall quality of life. The World Health Organization (WHO) has established a widely accepted system of pharmaceutical intervention based on the severity of an individual’s pain. This is known as the “pain management ladder” and was initially developed to treat cancer pain. However, it is now frequently used by clinicians when dealing with any type of chronic pain. Medications range from non-steroidal anti-inflammatory drugs to strong opioids. Mild pain: Pain intensity of one to three on the zero to ten standard should be controlled with non-steroidal anti-inflammatory drugs. 2. Mild to moderate pain: Pain intensity of four to six should be controlled with a combination of non-steroidal anti-inflammatory drugs and a weak opioid, such as hydrocodone. Moderate to severe pain: Pain intensity of seven to ten should be controlled with stronger opioids, such as morphine. Step one of the ladder suggests that mild pain be treated with a non-opioid, such as a nonsteroidal anti-inflammatory (NSAID) or acetaminophen. These agents may be administered as needed around-the-clock. NSAIDs produce pain relief by inhibiting enzymes involved in the formation of prostaglandins. Long term use of NSAIDs, however, does pose some risk for gastrointestinal erosion. Acetaminophen (Tylenol) is also a non-prescription medication listed under the ladder one classification. Although it lacks anti-inflammatory benefits, it has a mild analgesic effect with limited risk of adverse gastrointestinal risks. The following table lists some examples of non-opioid agents relevant to level one of the WHO analgesic ladder. Along with oral medication, analgesic patches containing lidocaine and ointments such as capsaicin offer therapeutic benefits for pain relief. 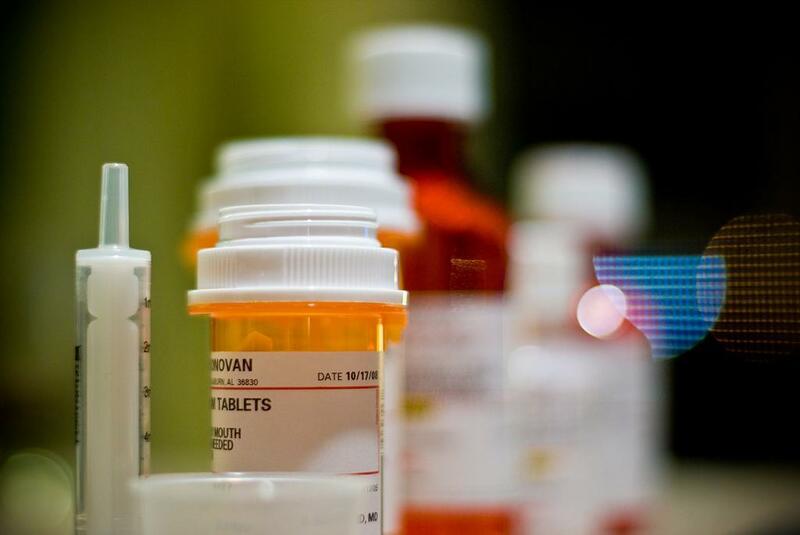 Step two of the ladder suggests that mild to moderate pain should be treated with a non-steroidal anti-inflammatory (NSAID) or acetaminophen along with a weak opioid, such as hydrocodone or codeine. Some evidence also suggests that the medication tramadol can also be used for treating pain in step two of the WHO ladder. Opioids work by binding to opioid receptors, which are found in the central nervous system and the gastrointestinal tract. Use of mild opioids has several limitations. Dosing beyond the suggested ceiling does not provide additional pain relief, and potential side effects include constipation, nausea, rash, respiratory depression, sedation, and addiction. Studies have also shown that people who were administered long-term opioids for pain have demonstrated immune system weaknesses. Most opioid treatment is oral; however, other delivery methods such as skin patches can be prescribed. The following table lists some examples of opioid agents relevant to level two of the WHO analgesic ladder. Step three of the ladder suggests that moderate to severe pain should be treated with stronger opioids, such as morphine. This is the gold standard medication in this classification of the WHO ladder. It can be administered orally, or through a patch or an intrathecal pump. Intrathecal drug delivery infuses morphine directly into the spinal fluid, which can provide significant relief. Patients taking strong opioids should be assessed for risk of substance abuse, addiction, and tolerance. These medications can be beneficial for treating pain; however, they are also associated with euphoric and sedating side effects. This combination can encourage overuse behavior as well as the development of tolerance. The following table lists some examples of medications specific to level three of the WHO analgesic ladder. It is clear that clinicians have a wide array of pharmaceutical options. The type of administration typically depends on considerations such as effectiveness and safety. While not specifically listed in the WHO ladder, other adjuvant medications used for pain include anti-epileptic drugs, antidepressants, creams, muscle relaxants, and corticoid steroids. Medications and remedies for pain have been around for thousands of years. From holistic approaches to home remedies, everyone that has ever experienced even the slightest ache is always searching for relief. There are numerous types of medications as well as various ways of getting the medication to the desired area. But, there are potential side effects and undesirable reactions when using any pain medication. Pain medication in the form of a topical cream can provide relief to arthritic or painful joints and nerve pain. These creams can have adverse effects when over-applied or applied to the skin, which may result in a rash. Non-steroid anti-inflammatory drugs (NSAIDS) are generally used to treat acute pain and most can be purchased over the counter. These medications include Bayer, Advil, and Motrin. NSAIDS should not be used on a daily basis or for chronic pain, due to their potential for kidney damage. Muscle relaxants are commonly used for patients seeking relief from back pain or back spasms. Muscle relaxants are neuromuscular blockers. Potential side effects include dizziness and nausea and, in rare cases, they can cause liver disease. Opioids have long been used as pain medication. Opioids come from the poppy seed plant and they are also the main ingredient of the recreational drug, opium. Opioids bind with opioid receptors in the brain, which control several functions, including pain. Opioids have severe addictive properties and patients sometimes suffer from withdrawal symptoms when taken off the drug. Membrane stabilizing pain medications help reduce the pain of an over-sensitized nerve, which may be injured or exposed to persistent irritation. This entire class of medication has similar side effects, which include sedation and gastrointestinal problems. In rare cases, membrane stabilizing medications can cause suppression of bone marrow. As a precaution, doctors should monitor your blood count to check for any negative reactions. Although there are a wide variety of drugs to relieve pain, the analgesic benefits come with potential side effects and costs. Fortunately, there are many nonpharmaceutical interventions to help in pain management. Many of these measures are non-invasive and can provide comfort along with increased mobility to those suffering from painful conditions. Patients with chronic pain often reach a point in their life where they will try any technique or medication that would improve their quality of life. Quality of life includes the ability to participate in a daily routine with little or no pain. Pain management treatments are continually improving and provide patients with different options when modern medicine does not provide the desired results. Interventional and complementary pain management is typically considered when medication fails to relieve the patient’s chronic pain. Research published in a recent edition of the Nurse Practitioner has shown that combining interventional pain management techniques with medication improves the patient’s quality of life and increases functionality. Interventional and complementary pain management are typically performed in clinics specializing in pain management. When a patient is referred to a pain management clinic for evaluation, clinicians perform a comprehensive pain assessment to determine how to treat the patient’s pain. Once the assessment is complete, a complete plan of care is developed. Some examples of a comprehensive care program to treat pain include the following treatments. 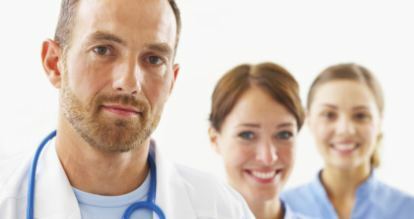 Pain management physicians perform injections to both diagnose and relieve pain. 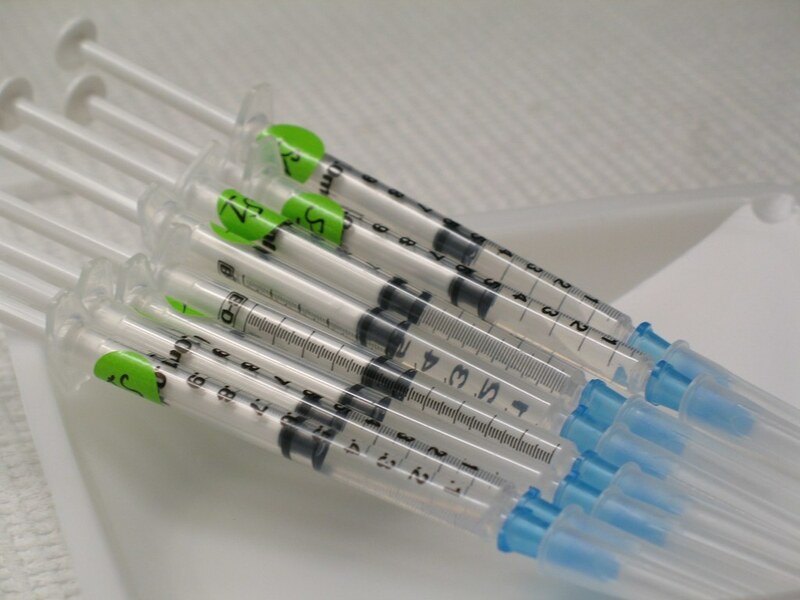 Some examples of injections include epidural steroid injections, facet injections, caudal steroid injections, and a variety of nerve and sympathetic blocks. Fluoroscopy is used with the injections to ensure the optimal site for the injection. 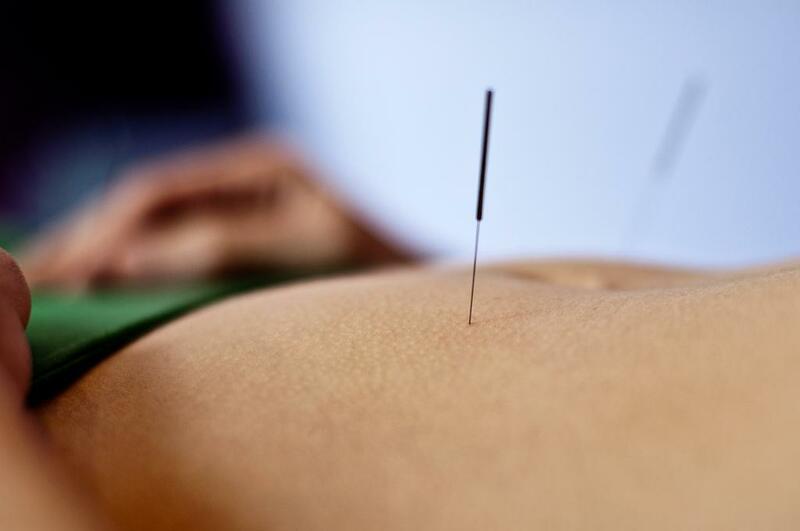 Acupuncture is a type of complementary medicine that has been used to treat pain for over 3,000 years. It involves the insertion of fine needles in the skin along meridians. There are 12 primary meridians linked to specific organs in the body. There are also eight secondary meridians that can be manipulated through the use of tiny needles. Research has shown that acupuncture can have positive outcomes in treating pain by stimulating blood flow. During this modality, clinicians use hands-on manual therapy to lengthen muscles and release adhesions to tissues and nerves. This is accomplished by applying precisely directed attention to the muscles, while the patient performs specific movements. This treatment helps patients with muscles that have been shortened due to overuse. During this non-invasive pain management treatment, the clinician places sensors on different areas of the body. These sensors monitor physiological responses to stress, such as blood pressure, sweat production, muscle tension, and heart rate. Biofeedback allows patients to become more aware of the body’s changes during stress and therefore allows them to apply pain-relieving methods, such as deep breathing and visualization. Research has shown that biofeedback helps control pain and improves confidence by allowing patients to be in control of their own bodies. Botox injections use various forms of botulinum toxin to temporarily paralyze muscle activity. This toxin is produced by the microbe that causes a type of food poisoning known as botulism. Botox is used primarily to reduce skin wrinkles; however, a growing body of research has shown favorable outcomes in treating pain associated with chronic migraines and other painful conditions such as cervical dystonia (neck spasms). Cold laser therapy uses a light with photon energy to penetrate the body to change cellular function. During this treatment, the healing process is initiated through beneficial photo-chemicals and photo-biological interactions. Cold laser therapy is a non-invasive, safe modality that has been approved by the FDA for treating both acute and chronic pain. Gua Sha is a traditional East Asian practice used to treat pain. It involves scraping the skin with a smooth instrument to create a temporary, therapeutic rash. The rash is believed to relieve pain by increasing blood flow. Similar to acupuncture, practitioners of Gua Sha believe that pain and inflammation are caused by the stagnation of blood and Qi (“life force”). Gua Sha increases blood flow and circulation through the induced rash. A 2012 randomized controlled pilot study published in the American Journal of Chinese Medicine aimed at measuring the effects of Gua Sha therapy in patients with neck and low back pain. According to researchers in this study, patients with both neck and back pain reported marked improvements in pain after being treated with Gua Sha therapy. Massage therapy involves soft-tissue manipulation to help reduce pain. It focuses on decreasing muscle tension by increasing the parasympathetic nervous system (PNS) functioning, while decreasing the effects of the sympathetic nervous system (SNS). The PNS promotes relaxation and the SNS has the opposite effect. Studies have indicated that massage therapy can help promote pain relief. One such study, published in a 2011 edition of Complementary Therapies in Clinical Practice sampled 46 adults with hand pain who were randomly assigned massage therapy over a four week period. At the conclusion of the study, the massage therapy group had less pain, stronger grip, and less anxiety than the control group. This involves the injection of a non-active irritant solution into the joint space, tendons, or ligaments to help strengthen weakened connective tissue. The injection of hyperosmolar dextrose (sugar) and lidocaine is thought to relieve chronic musculoskeletal pain. Typical treatment involves at least three injections one month apart, but injection intervals can vary from two to six weeks. Current data published in the American Family Physician indicated that prolotherapy has positive effects on a wide variety of musculoskeletal pain conditions. Cognitive-behavioral therapy (CBT) is a common form of psychological therapy that attempts to retrain an individual’s mind to think of positive thoughts instead of negative ones. Many studies have revealed that negative emotions have been shown to increase pain scores. Positive emotions are encouraged to replace negative ones, which can decrease the perception of pain. CBT has been shown to help treat patients with illnesses such as fibromyalgia, rheumatoid arthritis, back pain, and cancer. A large part of the comprehensive pain management program involves educating patients on the benefits of positive lifestyle changes. The need for exercise and proper nutrition is crucial in helping patients to overcome pain. Multiple studies have shown that poor diet, coupled with habits such as smoking and alcohol abuse significantly decrease health and exasperates painful conditions. Chiropractors use a hands-on approach to manipulate muscles and joints of the body. Chiropractic care is commonly used to treat low back and neck pain, migraines, along with pain in the joints, shoulders, and hips. When vertebrae become misaligned, they can place pressure on spinal nerves, which causes pain. Chiropractors use a non-surgical form of spinal decompression to help lengthen and decompress the spine to alleviate the pain. Research has shown that chiropractic care can have positive outcomes on pain with very low risk of adverse effects. Everyone will endure pain of some sort at some point in their lifetime. Whether it is a minor tooth ache or a chronic pain that lasts more than six months, pain can affect a person’s quality of life more than any other health-related problem. Researchers are constantly searching for a solution to pain. However, pain is a subjective feeling and varies from person to person. Tolerance levels are not universal. If left untreated, pain can affect a person physically and psychologically. Normal everyday routines become rigorous tasks if pain management is not effective. To treat pain, it must first be determined what is causing the pain. Every individual is different in how they tolerate and react to pain. Understanding this process has helped researchers focus their attention on certain pain relief modalities. When an individual has pain, physicians must identify the cause of pain and provide a comprehensive pain management plan. Pharmacological, interventional, and complementary techniques are often used in concert to eliminate pain. Managing pain before it becomes a chronic problem is the ultimate goal of the pain management team. Babos MB, Grady B, Winsoff W, McGhee C. Pathophysiology of pain. Disease-a-Month. 2013;59:330-358. Field t, Diego M, Delgado J, Garcia D, Funk CG. Hand pain reduced by massage therapy. Complementary Ther Clin Prac. 2011;17:226-229. Lauche R, Wubbeling K, Ludtke R, et al. Randomized controlled pilot study: pain intensity and pressure pain thresholds in patients with neck and low back pain before and after traditional east asian “gua sha: therapy. Amer J Chinese Med. 2012;40(5):905-917. Middaugh S, Jackson K, Smith A, McFall T, Klingmueller J. EMG biofeedback and exercise for treatment of cervical and shoulder pain in individuals with a spinal cord injury: A pilot study. Top Spinal Cord Inj Rehabil. 2013;19(4):322-323. Pergolizzi JV, Mercadante S, Echaburu AV, et al. The role of transdermal bubprenorphine in the treatment of cancer pain: an expert panel concensus. Curr Med Res Opin. 2009;25(6):1517-1528. Rabago D, Yelland M, Patterson J, Zgierska A. Prolotherapy for chronic musculoskeletal pain. American Family Physician. 2011;84(11):1-3. Starrels JL, Becker WC, Alford DP, Kapoor A, Williams AR, Turner BJ. Systematic review: treatment agreements and urine drug testing to reduce opioid misuse in patients with chronic pain. Ann Intern Med. 2010;152(11):712-720. Vanderah TW. Pathophysiology of pain. Med Clin North Am. 2007;91(1):1-12. Vranceanu AM, Safren S. Cognitive-behavioral therapy for hand and arm pain. J Hand Ther. 2011;24:124-131.